2012 DA14 asteroid won't hit Earth. But NASA needs to do more to prepare for others. 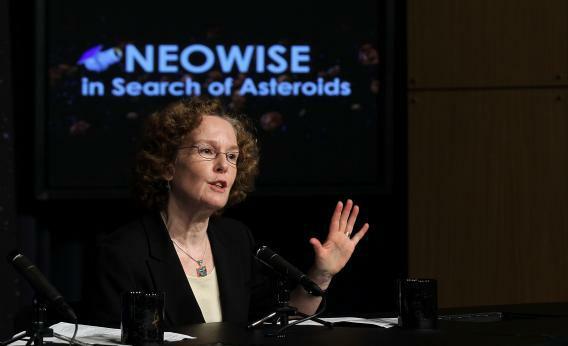 NASA Must Do More To Prepare for Catastrophic Asteroids. Much More. Impacts of large asteroids on Earth are rare. Asteroids the size of tomorrow’s would cause only localized damage. The orbits of larger objects are better known, and so imminent danger of mass extinction is low. It is unlikely that astronomers will soon discover a “potentially hazardous asteroid” (PHA) high on what astronomers have dubbed the Torino scale. Still, NASA is not doing nearly enough to prepare for that unlikely eventuality. What should be NASA’s most important task—keeping the Earth, and America, safe from asteroid and comet impact—is barely mentioned in its latest strategic plan, released earlier this week. Planning for a mission to deflect a potential cataclysm is left to private organizations like the B612 Foundation, in which a number of engineers and scientists with years of experience with NASA are involved. It’s even headed by former astronaut Ed Lu. But this is too important a task to be left to philanthropists and retirees like the B612 crowd. However laudable their efforts, they lack the resources and capability that the government has. Keeping its citizens safe is the foundational responsibility of government. And in this respect, NASA has been heedless of its responsibilities. It is far easier to quantify the risk from asteroids that have already been tracked than from something as nebulous as terrorism. The Near Earth Object Program at NASA’s Jet Propulsion Laboratory is doing an admirable job of estimating impact risk of currently known PHAs. But there are also the unknown unknowns. A report last year from NASA estimated that only 20 to 30 percent of PHAs have been found. It is entirely possible that tomorrow, or next year, or five years from now, an astronomer will find an object on a collision course with Earth. However, if we have learned anything in the past several decades of space operations, it is that it is extremely difficult to throw together something at the last minute. Developing all of the technological infrastructure for something like a gravitational tractor will take years. Even if we had one sitting in Florida ready to be launched, such a tractor would also take years to do its work. The earlier such a device could be sent up, the better it could alter the trajectory of an incoming asteroid. Following the release of Zero Dark Thirty earlier this year, there was a heated national debate about how fictional depictions of torture affect our perceptions of its utility in the real world. When Armageddon and Deep Impact came out in 1998, the criticisms of astronomers (were not given much weight. At some level, the myth that Bruce Willis and Ben Affleck might save the world, if push came to shove, succeeded in penetrating the national unconscious. But Michael Bay is not a documentarian, and neither is Mimi Leder. By the time we see the next bullet coming, it might be too late.